What is a landfill? What makes some garbage dangerous? Why it is good to recycle and can we recycle water? 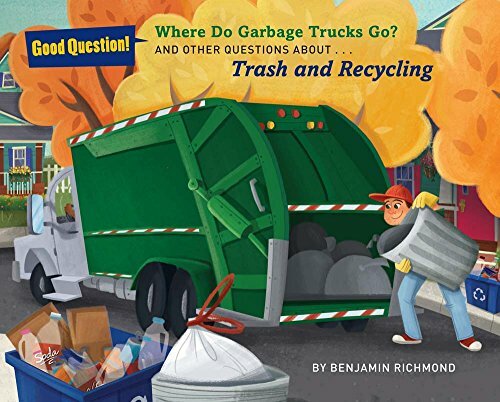 Kids see the garbage truck all the time but this entertaining and educational book will tell them what it does and where it goes, along with other facts about the trash we create and how it affects the environment." Ben Richmond is a science journalist who writes about dinosaurs, outer space and the origin of words for Vice magazine's Motherboard website, and has contributed to The Believer. Ben has previously written Why Is the Sea Salty? and WhatAre the Three Branches of Government? in the 'Good Question!' series.